What gets you out the door to run each day? How do you stay motivated? How do you lace up your running shoes when you really don’t feel like hitting the streets or trails? The answer is different for everyone – you are an experiment of one – but there are several ways to increase your chances of doing your daily run and continually enjoying it. Schedule your run like any other meeting: If you have regularly scheduled runs and places to meet it becomes easier. Put your runs on your calendar and it becomes a priority. Eventually it will become your favorite habit. Find a group or a friend: When you run with others it becomes harder to miss a running appointment. For most runners it is more enjoyable to run in the company of friends. 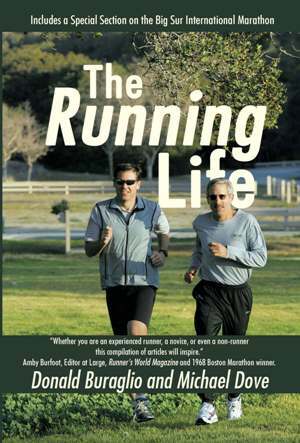 Time passes more quickly and you share everyone’s successes in running and in life. Enter a race: For most people entering a race becomes a fun commitment to train properly and a challenge to try and run faster. Runners realize there is a direct correlation between how well and consistently you train and how you will run in the race. Learn about your sport: Reading health related articles about the benefits of running and an active lifestyle make you more aware of what a great thing you are doing for your body and spirit when you hit the roads and trails. It’s the best gift you can give to yourself each day. Mix it up: Don’t get in a rut of always running in the same location each day. Running and your life become more interesting if you run trails and hills, rather than always pounding the pavement. Choose different locations, terrain, and challenges when you can. Get Competitive: Try to improve your times by doing some speed work and faster running on some of your training days. Even if it is just short “pickups” from telephone pole to telephone pole, it improves your efficiency as a runner and leg turnover. Compare your times from one race to another and challenge yourself to do better. Pick a “nemesis” who you want to beat and know that they are out there training every day. Try to beat them in your next race. Make yourself a faster runner. Take it Easy: On the other hand, if you are naturally competitive and feel a bit burnt out by always “training” and being race ready, then step back and take it easy for awhile. Don’t enter any races for 3 or 4 months. Just go out and run easy and run with joy. Learn to enjoy the act of running and feeling good in the moment. Take on a new challenge: Tired of the same old 5 and 10K’s? Challenge yourself and add variety by entering some trail races; or pick a new distance and location. Look for 8K’s or 20k’s or try to do an ultra. Choose a vacation destination and look for a race there. Try an overseas marathon. The possibilities are endless to spice up your Running Life. List your reasons to run: Go ahead make yourself a list of all the benefits of running. Then take a few days off and see how you miss it. Come back eager to get out the door and run. Volunteer at a local race or get someone new started in the sport: When you help at a race or see someone new get started the eager enthusiasm is infectious.